Duke researchers start company that uses software to overcome drug resistance, fight cancer . Duke Chronicle. April, 2019. Using Supercomputers to Checkmate Cancer. Duke News, and Gavilan Biodesign. February, 2019. Duke Computational Biology Group was ranked number 5 nationally in CS Rankings. Duke Algorithms Group was ranked number 10 nationally. Donald Lab receives NIH Grant for Protein Design. Our presentation on Osprey 3.0 at ISMB! OSPREY 3.0: Open-Source Protein Redesign for You, with Powerful New Features. Structural Bioinformatics and Computational Biophysics (3DSIG) track of ISMB. Chicago, Il. July 6-12, 2018. (Selected for Oral Presentation). What is new in Osprey 3.0? Please see: M. Hallen, J. Martin, et al. OSPREY 3.0: Open-Source Protein Redesign for You, with Powerful New Features. Some mathematical and computational challenges arising in structural molecular biology. April 23, 2018 at 10:30 AM, TTIC. Abstract: Computational protein design is a transformative field with exciting prospects for advancing both basic science and translational medical research. New algorithms blend discrete and continuous mathematics to address the challenges of creating designer proteins. I will discuss recent progress in this area and some interesting open problems. I will motivate this talk by discussing how, by using continuous representations within a discrete optimization framework, broadly-neutralizing anti-HIV-1 antibodies were computationally designed that are now being tested in humans (clinical trial NCT03015181). These continuous representations model the flexibility and dynamics of biological macromolecules, which are an important structural determinant of function. However, reconstruction of biomolecular dynamics from experimental observables requires the determination of a conformational probability distribution. These distributions are not fully constrained by the limited information from experiments, making the problem ill-posed in the sense of Hadamard. The ill-posed nature of the problem comes from the fact that it has no unique solution. Multiple or even an infinite number of solutions may exist. To avoid the ill-posed nature, the problem must be regularized by making (hopefully reasonable) assumptions. I will present new ways to both represent and visualize correlated inter-domain protein motions (See Figure). We use Bingham distributions, based on a quaternion fit to circular moments of a physics-based quadratic form. To find the optimal solution for the distribution, we designed an efficient, provable branch-and-bound algorithm that exploits the structure of analytical solutions to the trigonometric moment problem. Hence, continuous conformational PDFs can be determined directly from NMR measurements. The representation works especially well for multi-domain systems with broad conformational distributions. Ultimately, this method has parallels to other branches of computer science that balance discrete and continuous representations, including physical geometric algorithms, robotics, computer vision, and robust optimization. I will advocate for using continuous distributions for protein modeling, and describe future work and open problems. What algebraic topology could frame thy fearful symmetry? Although half of all proteins in modern cells are symmetric complexes, less is known about them, as they are more difficult to work with both experimentally and computationally. NIH R01 Grant Awarded for "Deep Topological Sampling of Protein Structures." Former Dlab alumnus Ivelin Georgiev (Ph.D. 2009) has been appointed tenure-track assistant professor at Vanderbilt University Medical Center. Outsmarting HIV With Vaccine Antigens Made to Order, Duke News (2015). An HIV vaccine research team led by scientists from the National Institutes of Health has engineered a protein to maintain the particular shape predicted to be most effective at stimulating the immune system to produce powerful antibodies against the virus. The work was led by John R. Mascola, M.D., and Peter D. Kwong, Ph.D., of the Vaccine Research Center (VRC) at the National Institute of Allergy and Infectious Diseases (NIAID), part of NIH. The team included Dlab (Donald Lab) members Mark Hallen and Bruce Donald, and former Dlab PhD (2009) Ivelin Georgiev (now at the VRC). In previous work, scientists found that an effective HIV vaccine that teaches the immune system to neutralize the virus should be based on a particular form of the viral spike called the closed, pre-fusion configuration. In the new research, we report the stabilization of a protein that maintains this very configuration and confirm that it allows binding of effective antibodies but not ineffective ones. More molecular work remains to overcome other hurdles to eliciting HIV antibodies that could stop most strains of the virus from causing infection. ARTICLE: Crystal structure, conformational fixation and entry-related interactions of mature, ligand-free HIV-1 Env. Nature Structural & Molecular Biology DOI: 10.1038/nsmb.3051 (2015). Mark Hallen won a Liebmann Graduate Research Fellowship for his work in the Donald Lab on protein design algorithms and HIV (2015). 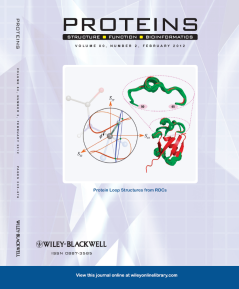 Our paper Systematic solution to homoöligomeric structures determined by NMR appeared on the cover of Proteins (2015). Anticipating Resistance: Using computational algorithms and experimental evolution, researchers are predicting antimicrobial-resistance patterns to improve drug design. The Scientist (2015). Getting Ahead of Antibiotic-resistant Bacteria UCONN Today (2015). Dlab Ph.D. student Pablo Gainza in a TIME Magazine article on research by the Donald Lab (2015). Program Predicts Antibiotic Resistances, Buying Us More Time. Nature World News, 2015. Faculty fight drug resistance with software. Duke Chronicle, 2015. Duke, UConn Researchers Use Protein Design Algorithms to Predict Potential Resistance Mutations in MRSA. Genomeweb, 2015. Mark Hallen received the best poster award at the Fall 2014 Biochemistry Department retreat for his poster entitled "Computational Design of Probes and Antibodies using EPIC and COMETS." Jeff Martin was presented the Department of Computer Science's Outstanding PhD Award for his thesis, "Geometric Algorithms for Protein Structure Determination Using Measurements from NMR Spectroscopy," at the department's annual meeting. Kyle Roberts and Bruce Donald won the best poster award at the ISMB 3DSIG conference in Boston for their poster entitled "Improving Minimized Protein Design with Partitioned Continuous Rotamers" (2014). Goke Ojewole won an NSF Graduate Research Fellowship for his work in the Donald Lab on protein design algorithms and infectious diseases (2014). Hunter Nisonoff received a DSRF Fellowship for his work in the Donald Lab on protein design and HIV vaccine design (2014). Pablo Gainza just completed an internship at the Vaccine Research Center (VRC) at NIAID/NIH, where he worked on collaborative projects between the Donald Lab and the VRC related to HIV antibodies (2014). Mark Hallen will do an internship this summer at the Vaccine Research Center (VRC) at NIAID/NIH, working on collaborative projects between the Donald Lab and the VRC related to HIV antibodies (2014). NIH has funded our competing renewal R01 application for research in Computational Structure-Based Protein Design (2014). Jeff Martin, Pei Zhou, and Bruce Donald received the best poster award at the 2014 Biochemistry Department Symposium for their poster entitled "Systematic Solution to Homo-oligomeric Structures Determined by NMR." Most Donald Lab MEMS and Robot movies are now available on our YouTube channel. Computer scientist in profile: Bruce R. Donald. By Amarda Shehu, ACM SIGBioinformatics Record (2014 January). ACM Digital Library. Tricky Protein May Help HIV Vaccine Development. Combining expertise in biochemistry, immunology and advanced computation, researchers at Duke University have determined the structure of a key part of the HIV envelope protein, the gp41 membrane proximal external region (MPER), which previously eluded detailed structural description. Duke News, 2014. Homing in on HIV. Spectroscopy Now 2014. Breakthroughs Against HIV. UNC TV 2014. Nanotube Probe Gives a Single Neuron's View of Brain Activity. Technology Review (2013). Duke scientists designed a thin, flexible carbon-nanotube spear to study individual brain cells. Duke News (2013). Carbon nanotube harpoon catches individual brain-cell signals. Eureka Alert (2013). A look into Duke's scientific research: The Donald Lab uses advanced technologies to solve biomedical problems. Duke Chronicle (2013). Cheng-Yu Chen et al. received the best poster award at the Fall 2012 Biochemistry Department retreat for their poster titled "NMR Structure Determination of GrsA Epimerase Domain by Residual Dipolar Couplings (RDCs), Sparse NOEs and PREs." The poster was co-authored by Cheng-Yu Chen, Chittaranjan Tripathy, Jianyang Zeng, Pei Zhou and Bruce R. Donald. Bruce Donald gave a talk, "Protein Interface Design, Cystic Fibrosis and HIV," in the Duke CBB Computational Biology Seminar on September 17, 2012. Computer Algorithms Aid Search for Cystic Fibrosis Drugs, NIH NIGMS Biomedical Beat (Research Digest) May 17 Issue (2012). Computer Design Leads To Cystic Fibrosis Drug Candidates (Chemical & Engineering News, 2012). Bruce Donald was named James B. Duke Professor (May, 2012: Duke Announces Distinguished Professors and July, 2012: Duke Computer Science news article). Computer-designed Molecules Point to New Therapy for Cystic Fibrosis, Duke News (2012). 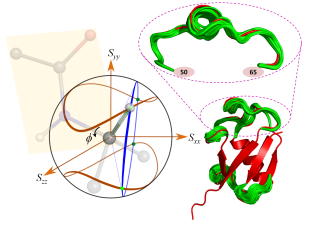 Protein Loop Closure Using Orientational Restraints from NMR Data. C.Tripathy, J.Zeng, P.Zhou, and B.R.Donald. * Proteins: Structure, Function, and Bioinformatics 2012; 80(2):433-453. and The Journal issue. This work describes an advance in methodology for the structure determination of protein loops by NMR, using residual dipolar couplings. D-Lab Ph.D. student Mark Hallen was awarded a prestigious PhRMA Foundation graduate fellowship. The goal of the fellowship Program is to promote the use of informatics in an integrative approach to the understanding of biological and disease processes. Fellowship awards support career development for scientists engaged in cutting-edge research in information technology and experimental validation, thus advancing the integration of molecular and clinical approaches into problems of pharmacological concern (December, 2011). Karl Bohringer (D-Lab Ph.D. 1997), was named the John M. Fluke Distinguished Chair of Engineering at the University of Washington, Seattle. Ivelin Georgiev (D-Lab Ph.D. 2009), became co-head of the Structural Bioinformatics Section (SBiS) at the Vaccine Research Center (VRC), National Institute for Allergy and Infectious Diseases (NIAID), NIH. Ivelin was also selected to receive a 2011 NIAID Merit Award. This award recognizes the meritorious achievements and accomplishments of NIAID employees. Igor Paprotny (D-Lab Ph.D. 2008), became a research faculty member at The Berkeley Sensors and Actuator Center (BSAC), U. C. Berkeley. Chris Langmead (D-Lab Ph.D. 2004) was promoted to Associate Professor of Computer Science at Carnegie-Mellon University (CMU). In 2011, Bruce Donald was elected Fellow of the IEEE. From 2000-2011 we have had 11 papers accepted in the RECOMB conference, which we enjoy going to. On most years that's one paper but in 2011 we had 4 papers accepted for oral presentation and the proceedings. They are listed here on our publications page. An article on the Donald Lab's work (in collaboration with Amy Anderson's group) on predicting resistance mutations using protein design algorithms appeared in PNAS in July 2010, and was reported by DukeHealth, DukeMed, EurekAlert, the News & Observer, and SmartPlanet. In 2009, Bruce Donald was elected Fellow of the ACM. Congratulations to Ivelin Georgiev and Jeff Martin, recipients of awards announced at the Department of Computer Science Annual Meeting in August 2009. 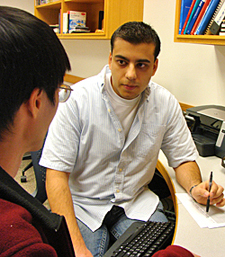 Ivelin was named winner of the Outstanding Ph.D. Dissertation Award and Nomination for the ACM Dissertation Award for his thesis entitled "Novel Algorithms for Computational Protein Design with Applications to Enzyme Redesign and Small-Molecule Inhibitor Design." Jeff was presented the Outstanding Master's Thesis Award for his thesis entitled "Algorithms for Structure Determination of Symmetric Proteins from Nuclear Magnetic Resonance Data." 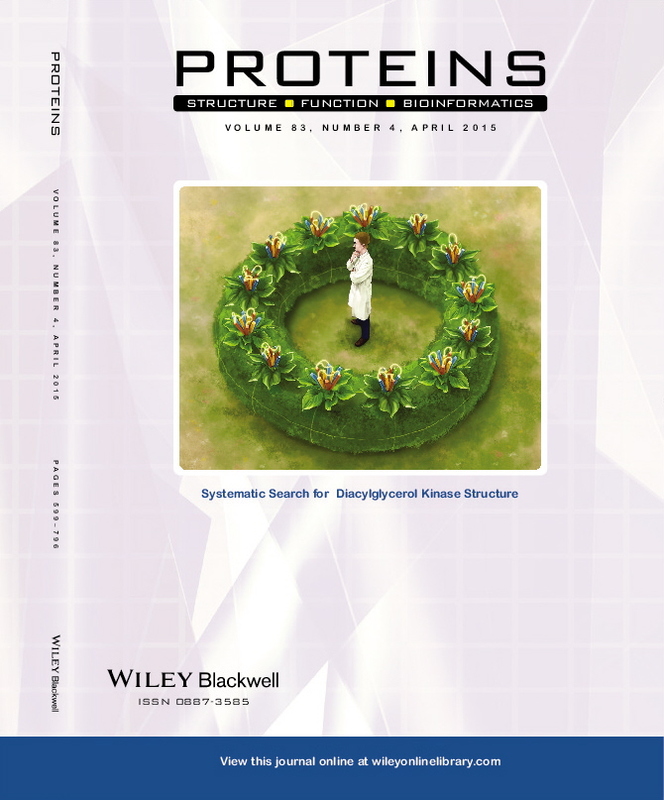 Protein Power, an article in SeedMagazine.com, in April 2009, recognized the Donald Lab's work in enzyme engineering. The Donald Lab's work in using computer algorithms to redesign enzymes that make antibiotics was reported in IEEE Spectrum Online in the article Computer-Designed Drugs Could Thwart Antibiotic-Resistant Bacteria in February 2009. Duke News also reported on the Donald Lab's work in enzyme design in the February 2009 article Duke Software Dramatically Speeds Enzyme Design. Congratulations to Chittu and his wife Julie on the birth of their daughter, Chijul Bruce Tripathy, on August 4, 2008! Chijul's middle name is named after Chittu's Ph.D. advisor, Bruce Randall Donald, whose middle name is after Bruce's father's advisor, James G. Randall. Duke team creates a fleet of crawling robots, a News & Observer article about the Donald Lab constructing a fleet of fully steerable microrobots appeared in June 2008. Microrobotic Ballet, A Duke News article and video about the Donald Lab's microscopic robots maneuvering independently on a stage one millimeter square appeared in June 2008. An article on the Donald Lab's work in computational redesign of nature's molecular assembly lines appeared in the Spring 2008 issue of Duke's Department of Computer Science newsletter, Threads. While numerous inhibitors of enzymatic activity have been developed, the development of inhibitors of protein-protein interactions has only recently come to the forefront as a viable approach. Allosteric inhibition of such protein-protein interactions presents a number of advantages, including not having to compete for binding with the partner protein. However, to date there are very few examples of such inhibitors. We have developed novel allosteric small-molecule inhibitors of the binding of RUNX1 to CBFβ, two proteins whose translocations play a critical role in the development of acute myeloid leukemia and acute lymphocytic leukemia. The results are reported in the cover article of Chemistry & Biology, (Cell Press, 2007) [More »]. Two of our papers on protein design were recommended reading "of outstanding interest" by SM Lippow & B Tidor. Progress in computational protein design. Curr Opin Biotechnol. 2007 Jul 17; Medline.